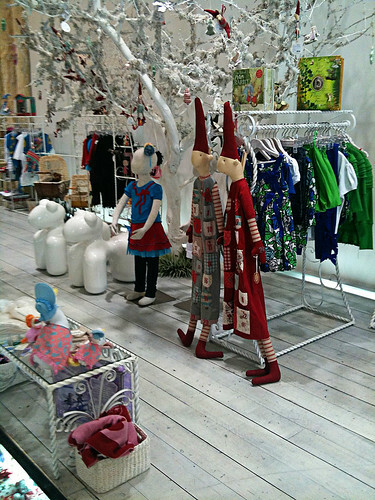 Trelise Cooper Kids' store in Newmarket is truly one of its kind. 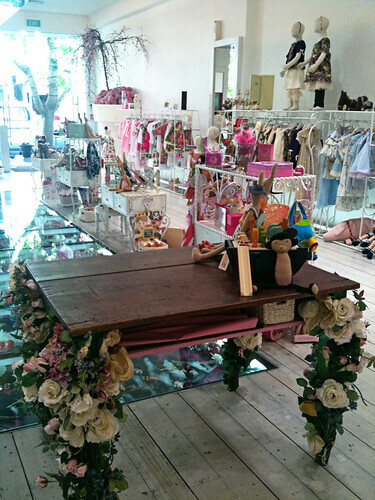 It's akin to stepping into every little girl's idea of a fairy-tale paradise. 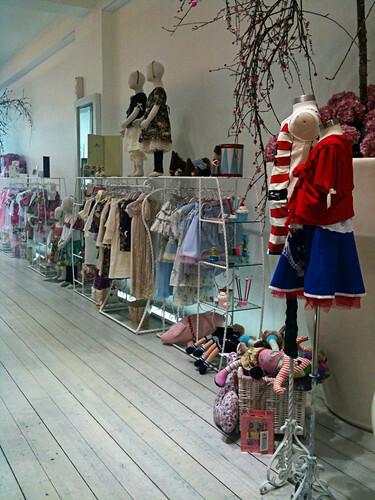 The racks of whimsical and ultra feminine designs are placed alongside carefully chosen toys. 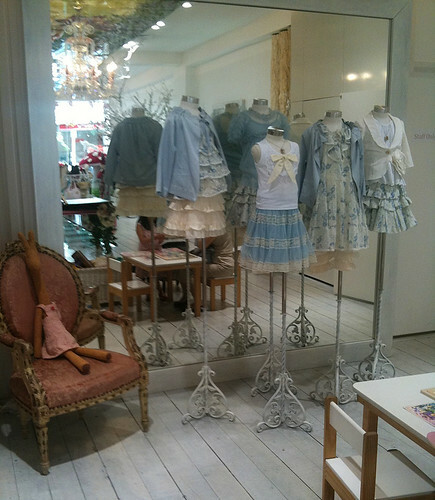 There is an armchair and matching chaise near the play area. There's even a counter at the back of the store selling iced cookies in various shapes. I bought a beautiful laced tunic during one of their sales several years ago and steadfastly hung on to it even after Little L had outgrown the top. I only reluctantly relinquished it to my niece a few days ago. Little L has her eye on a laced frou frou skirt (surprise, surprise) but I'm enamored with a cotton jersey dress with ruffled hem and sleeves. It's the only dress that I could find appropriate enough for the cold winter in the UK. Since it's summer over here, winter clothes are hard to come by.